Founder and President of Creative Engineering, Paul Dowd, invented the famous Evertune guitar, the guitar that never goes out of tune. It is on display at FIT’s Faculty and Staff Exhibit. 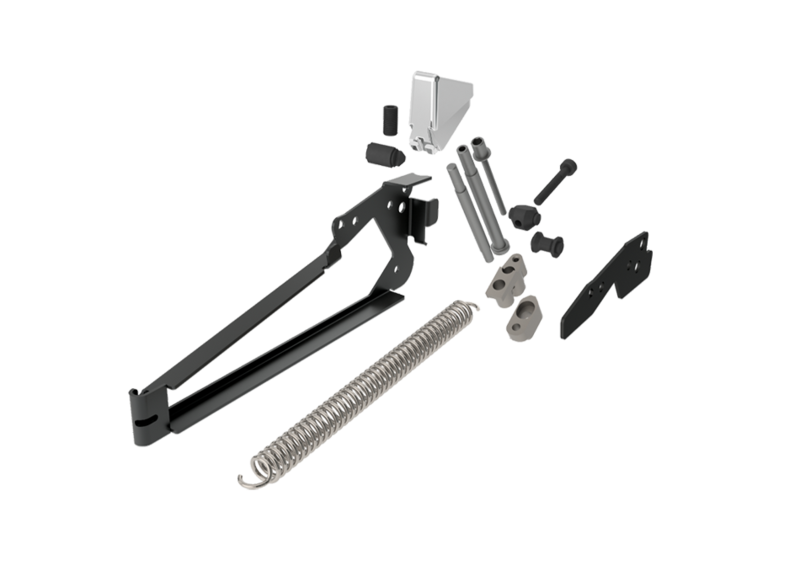 Creative Engineering’s challenge: Partner with a customer to co-invent a revolutionary new guitar bridge that provides an adjustable constant string tension, keeping a guitar perfectly in tune. Anyone who plays a guitar tunes a guitar. Just how often depends on several factors —temperature changes, the quality of a guitar’s tuners, the user’s playing style. For those with a heavy playing style, it can be as often as after every song played. Cosmos Lyles understood this. A professional restaurateur and amateur musician, he experienced firsthand the frustration of having to retune his guitar. He also had an idea on how to remedy it. Understanding that small deviations to the strings that create the pitch will disrupt the tune, he knew that placing constant tension on the strings would keep them in tune. And he believed he could make it happen using a metal bridge system. Creative Engineering built the initial design for Lyles but soon discovered there was a patent for the same functionality developed in 1938. So they went back to the drawing board, this time as partners. The main focus of the redesign was to alleviate the problem inherent in the design under the 1938 patent. While the original functionality placed a nearly constant tension on the guitar strings using springs, it did not prevent the strings from going out of tune — it merely helped them to go out of tune much more slowly. Dowd and Lyles worked hand-in-hand, eventually creating a new, more functional bridge that holds the string to the body of the guitar in a way that allows the strings to move back and forth while still pulling on the string with a constant tension – tension that keeps the strings in tune. With the bridge, strings stay in tune even when the guitar is subjected to the kinds of abuse that would knock a regular guitar out of tune right away. Nut friction, bad tuners, huge bends, new strings, the bridge keeps the pitch constant. It will even keep the strings in tune when they get cold and contract, or when they get warm and slacken. EverTune is a concept that ensures a resonating string will always play a specific note, ie. ‘be in tune’. It does this by supplying constant tension to the string. 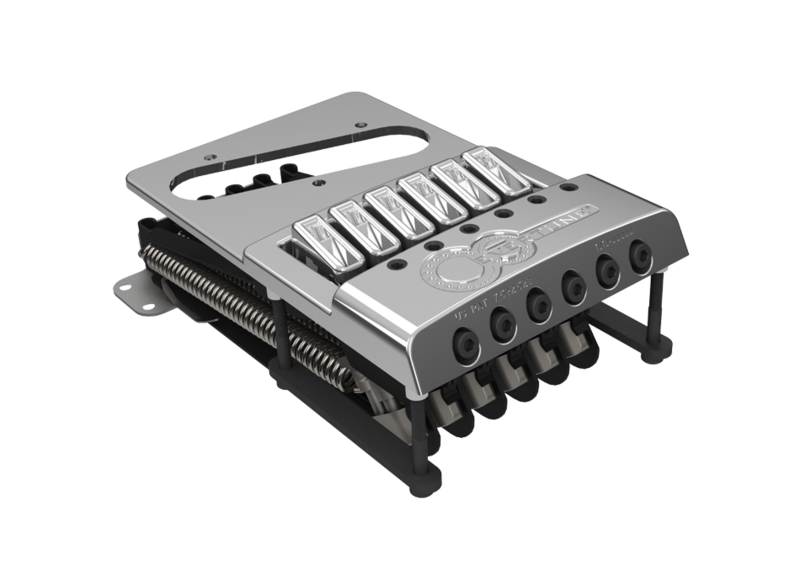 The EverTune bridge controls the saddle, allowing it to move slightly to prevent the tension from changing. The tension that the string saddle pulls with is adjusted using the tuning screws on the bridge, so the bridge is tuned by the player and able to hit any tuning. The saddles’ movement is confined between the bend and back stops. Bending is accomplished by setting the string holder very close to the front stop. When bending , the saddle hits the bend stop and can no longer move to compensate, so tension rises as normal. Each saddle on the bridge can pull with a tension in the range of 10 to 28 lbs., which works for most 009-012 electric guitar string sets. The bridge also provides for full action and intonation adjustment of the saddle positions. Visit the EverTune website for more information or take a look at the patents from this project.